In a rare admission of a breaking MSV story last week, the Hudson Reporter's "Between the Lines" column confirmed Beth Mason is prepared to buy the Hoboken Democratic Chair position currently occupied by fourth ward resident Jamie Cryan. The purchase would be made as part of a deal with the Russo family which is set to hold sway over the Hoboken Democratic Committee after this June's committee elections. Their price: financial underwriting in Hoboken's November elections for First Ward Councilwoman Terry Castellano, Third Ward Councilman Michael Russo and possibly former Hoboken Housing Authority Executive Director Carmelo Garcia in the sixth ward against Councilwoman Jen Giattino. In a week-ending comment via email, a decades long Hudson County political operative and senior political aide to Jersey Mayor Steve Fulop filled in details writing of Beth Mason's political purchase writing, "She offered to pay for the entire November election if Russo would deliver the votes" for Hoboken Democratic Chair. Beth Mason is reportedly opening up the Mason family checkbook for her next political operation: buy the Hoboken Democratic Chair position as part of a deal to underwrite the "entire" Old Guard November ward races in the first, third and sixth wards. Is that even legal? While the HR political column may view the Mason buy as connected to an effort on behalf of earning votes for Hillary Clinton in the area, others believe Mason may try to leverage the title on behalf of south Jersey in the form of Senate President Steve Sweeney, a possible gubernatorial candidate for NJ in 2017. A potential foothold in Hoboken for Senator Sweeny would be unwelcome in North Jersey where Jersey City Mayor Steve Fulop is considered by many politcos a strong contender for NJ governor himself. 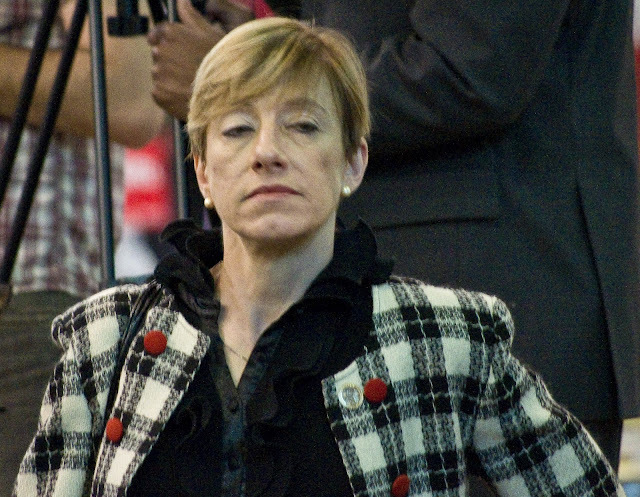 Beth Mason however is unpopular near and abroad as far as Hoboken and Hudson politics. She already declared herself a carpetbagger when she underwrote a dessert party in Atlantic City for Sweeney back in November 2013. Hoboken has set legal limits on monies individuals can contribute to local campaigns. Beth Mason however previously broke local ordinances in her underwriting of the controversial 2012 Move Forward Board of Education campaign race and its infamous Nazi Truck. Talking Ed Note: How come when MSV reports the truth it's considered "taunting" Beth Mason but not when the Hudson Reporter joins in MSV's story? Beth Mason should sue the Hudson Reporter. They just "taunted" a poor political victim. Jokes aside, there's no way underwriting the entire Hoboken November elections in three wards would be legal. Are we about to see the reactivation of the shady political committee, "Friends of Beth Mason?"